Ryanair to open new base at Brussels. Ryanair has announced 10 new routes from Brussels airport including Alicante, Barcelona, Ibiza, Lisbon, Malaga, Palma, Porto, Rome, Valencia and Venice. Not the place to be today !! They have been expecting this for sometime I think but sadly it could just as easily have been anywhere else in Europe. If someone is prepared to sacrifice their own life, then there is little more that can be done. I was in the car a few minutes ago listening to Jeremy Vine. A lady was talking to him who was from Northern Ireland saying checks should be carried out at the entrance to stations and airports. I'm with you on this though. It's not going to make a great deal of difference to those people who want to cause harm. They will do it wherever you are, before or during the security check. It's basically the luck of the draw and when your times up, it's up. This is just awful and just shows what these people are prepared to do (Sorry these people are monsters) I hope they rot in hell (sorry for such harsh words) but thats how i feel. Despite all the exciting stuff that is happening today at my home airport of BHX, today is such a sad day. However they wont stop me from travelling and enjoying my life, i will be at the airport on sunday to watch planes and will be travelling to the canary islands in september. Thoughts and prayers to the families of the victims. 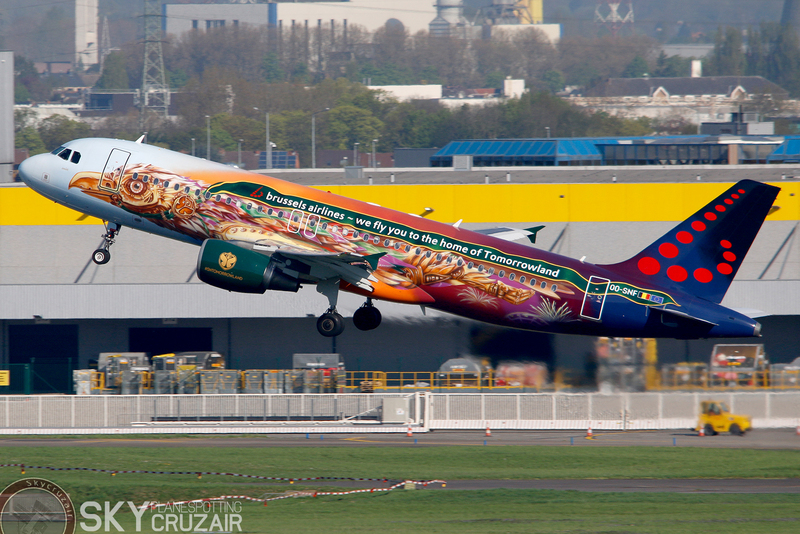 Following the terrorist attacks of Tuesday 22 March, there will be no passenger flights into and out of Brussels Airport until Sunday 27 March included. Because the forensic investigation is still underway, we currently have no access to the building. Until we can assess the damage, it remains unclear when we can resume operations. Brussels airport remains closed today with no sign of when it might reopen. Brussels airport reopened today under heightened security measures. Only three aircraft took off though I seem to remember hearing on the news today. The airport is not expected to be fully open until the summer according to the news summaries. Are airlines still cancelling their services then or are flights operating from other nearby airports? It must be costing the airlines a packet especially SN Brussels. I've just checked the BRU departures board for today and there are just 16 departures all day, all SN flights. 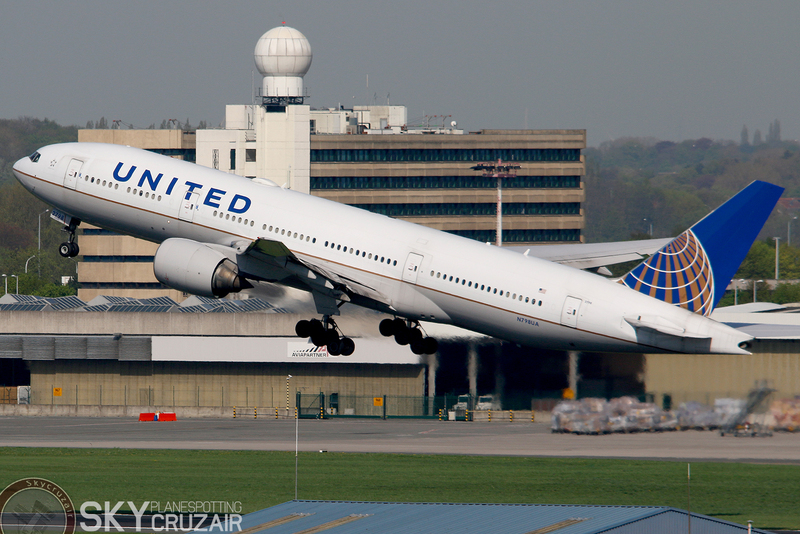 I understand that some flights have been using other airports such as Charleroi and Antwerp although the latter seems to have a very short runway (around 1500 metres according to the Internet). The 3 x daily SN service to BRU from BRS (operated by bmi regional) has not operated since the terrorist attack at BRU and isn't operating today either. 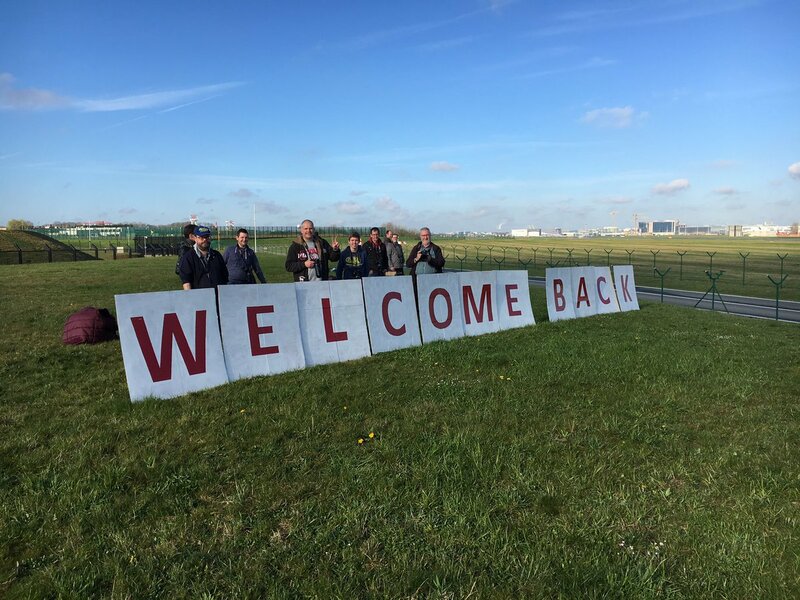 Aircraft Spotters have played their part in showing a sign of solidarity welcoming back passengers flying into Brussels Airport with a huge sign large enough for arriving crew and passengers to see. A huge thumbs up to these guys. The eyes and ears on the airports perimeter. 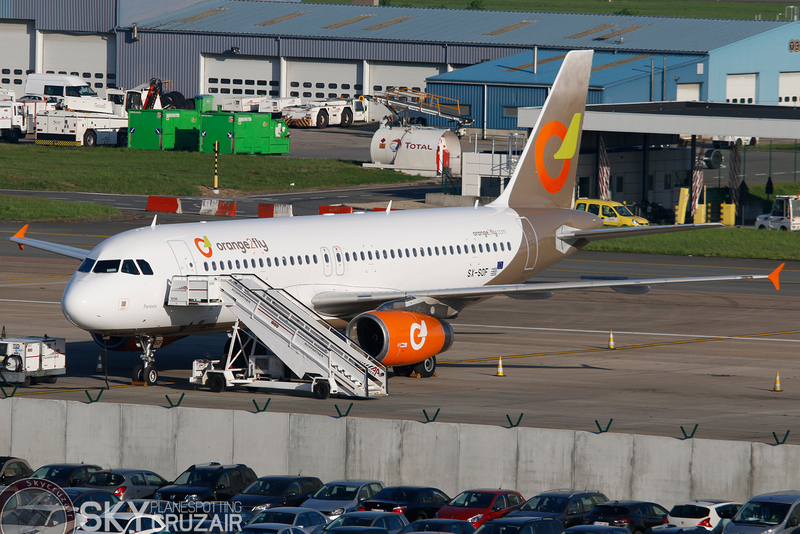 Good to see BRU operating again, we mustn't let these "people" intimidate us. 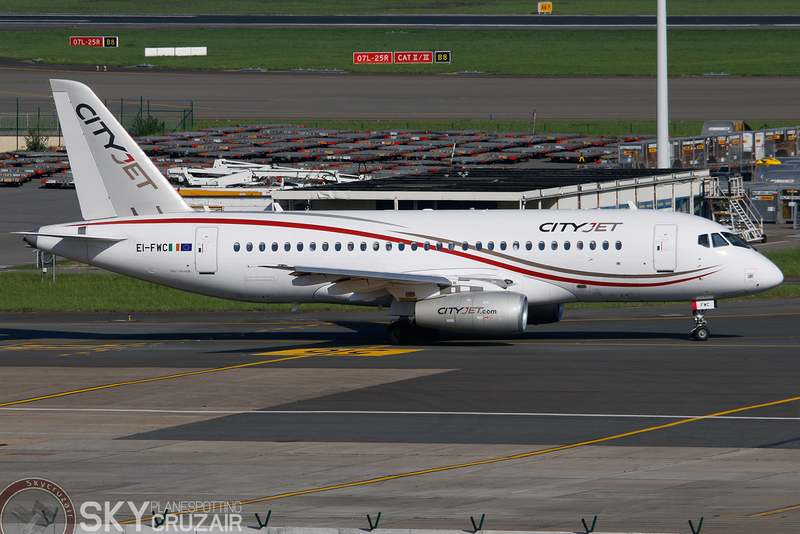 In April I flew with CityJet’s Sukhoi Superjet from HAJ to BRU and spend a few hours on parking lot P1. Here are some pictures of that day. 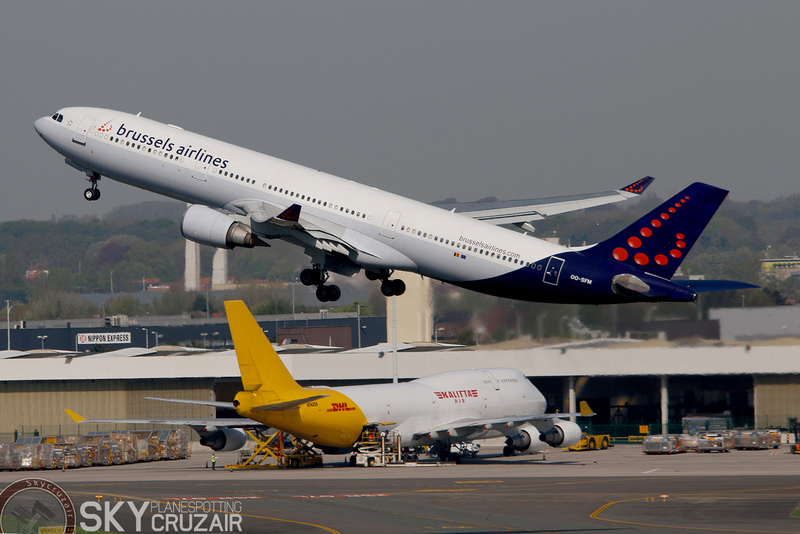 Sudden strike yesterday at BRU by some baggage handlers led to considerable dispruption. Some flights are still cancelled this morning. 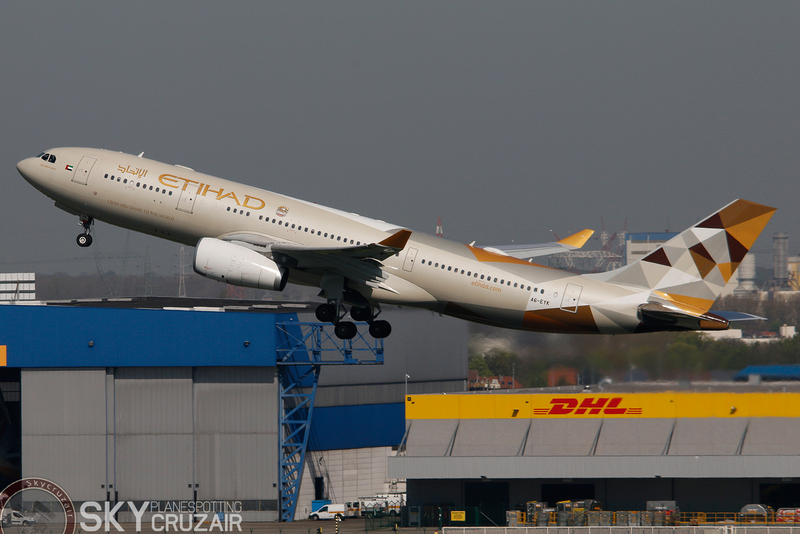 Brussels Airport has spent 650,000 euros on building viewing platforms and facilities for plane spotters.